Adelaide’s Most Competitively Priced Shutters, Outdoor Blinds, Security Doors and Window Furnishings! 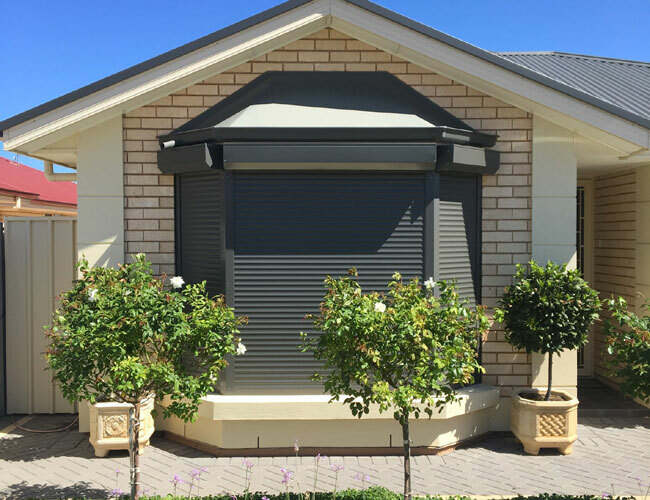 Welcome to Open’N’Shut, Adelaide’s most competitively priced roller shutters, plantation shutters, outdoor blinds, window furnishings and security doors. We can help you create the look you want at the best prices around – guaranteed! 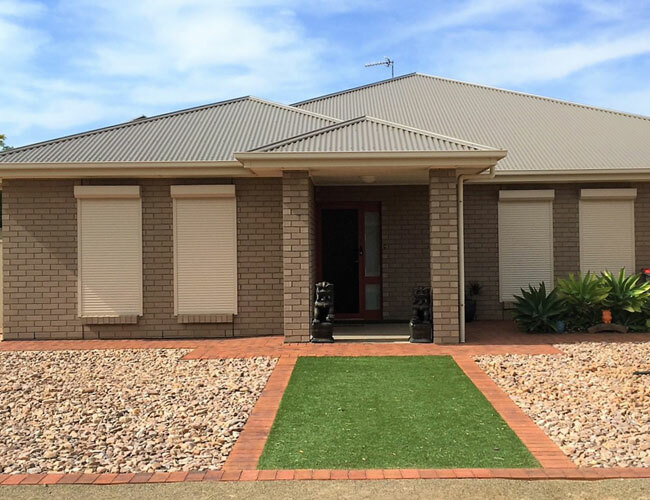 Open’N’Shut understand that any product that sits on the outside of your home needs to look good, enhance and protect your home, whilst withstanding the intense heat and high winds found in Adelaide, South Australia. Open’N’Shut pride themselves on bringing you quality, 100% Australian made products, at prices you can afford. Open’N’shut’s mission is to delight our customers and build lasting relationships with them through superior customer service, using quality Australian products and providing our services on time, in full and at the lowest prices. Our whole business philosophy is based on happy customers, happy workers and happy communities. Our phone lines are open seven days a week, so we are always around to take your call. When we book an appointment for you, we will turn up on time so that you can plan your day and if we are ever caught up in traffic will call you and let you know when we expect to arrive. When we arrive at your home, we offer a friendly and polite service with no high-pressure sales techniques and we will clear up after ourselves as we go along. We will give you our absolute best prices upfront and guarantee that if you find a lower price for a comparable product, we will instantly match it. All our prices include our expert measuring and installation service. We invest in and thoroughly train our staff in all areas of our business. Our sales staff, receptionists and installers are all highly trained in the systems, products and services we offer. To ensure personal development, we promote from within and ensure we offer all staff the opportunity to further their skills. We like to give back to the community and where we can, we manufacture our products in-house supporting local jobs and businesses and only use 100% Australian made parts. Open’N’Shut value you, your business and the part you play in keeping Australian businesses strong and viable. 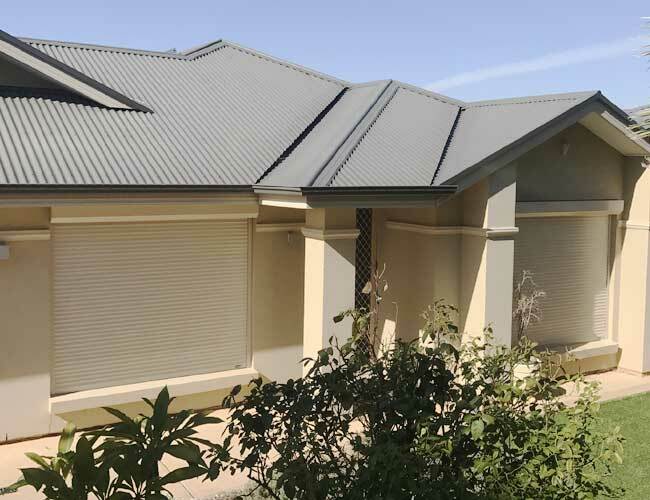 With over 20 years of manufacturing and installing blinds, shutters and security doors in Adelaide, we value our reputation and only partner with the best suppliers whose quality we know, trust and guarantee. We listen to our customers and value our reputation which is built on consistently offering great customer service along with quality, durable, Australian products at unbeatable prices. Check out what our legions of happy customers have to say about us in the Google review section opposite. Whatever you need – roller shutters, plantation shutters, outdoor blinds, security doors or window blinds, our expert consultants will look after you and give you good honest advice along with highly competitive prices. With Open’N’Shut you can relax in the knowledge that we handle everything from the initial measurements through to installation, so you can be assured of a quality job from start to finish. Even though we are a small family business, we are Adelaide’s largest independent manufacturer of roller shutters. When you buy from us you are dealing directly with the factory, which means we offer huge savings! We stand by our products and service by offering a minimum of 5-years guarantee on all blinds, roller shutters and security doors and a 20-year guarantee on plantation shutters. Open’N’Shut are so passionately committed to offering great service and value, that we will match or beat any genuine quote. And to make your purchase even easier on the pocket, we offer 50-months interest-free finance (from Certegy), with no deposit to pay, so you can buy now and pay later. Have just got my new roller shutters. Service was amazing and I am so very happy with the end product. I will be using again (once I convince hubby the rest of the house needs doing) and have also referred a friend. Thank you to the team at Open n Shut - it was so easy doing business with you! Liam, Sofie and the team are so friendly and nice to deal with. I have Roller Shutters and just got Zip Track Blinds which look fantastic! And their prices are easily the best going around by a mile! I have recommended Open n shut to a lot of my friends. Keep up the great work guys! We had a number of quotes for our outdoor shutters. Open n Shut were the least fuss and most professional. What impressed me even more is that they don't talk down the opposition, they just focus on their own quality, locally made product. Installation was also low fuss and we could not be happier with the product and result. We have large west facing windows and the difference in the afternoon is wonderful. I have already recommended Open n Shut to family and friends. Got quotes from three different places and OpenNShut had the best price by far. When Jeff came to give me a quote he wasn't pushy at all. The installation guys are friendly and professional and I would highly recommend them to everyone I know. Very happy now my house is secure, they look amazing. we highly recommend Open n Shut to anyone. customer service and price were excellent, the quote was cheaper compared to others. Installation has been done very fast, clean and nice. Thank you for your fantastic service and the best price. 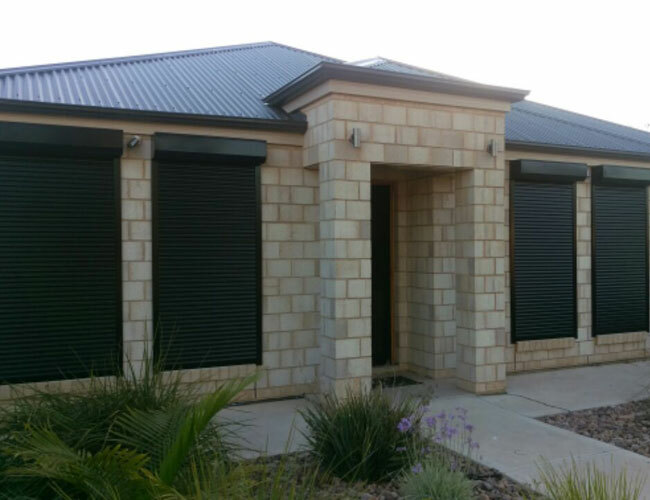 Open N Shut are the experts in electric roller shutters, security doors & blinds in Adelaide. We are committed to quality products and only partner with the leading manufacturers in Australia. 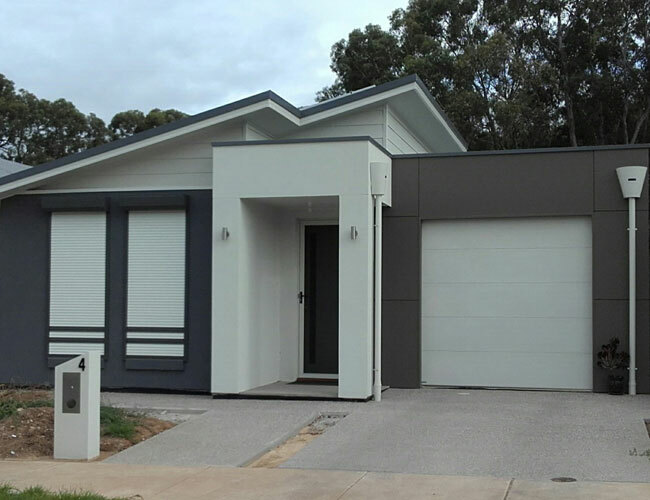 This allows Open N Shut to offer Adelaide homes & businesses factory direct prices in supply, installation & repair services. More info if in doubt. Our professional technical team are experts in Domestic roller shutters, Commercial roller shutters and Security Roller Shutters. Shutters have been a popular product for a long period of time and are associated with great historical traditions. They were originally used for maintaining privacy and safety and to keep out the bad weather or to control the light. Today they are still used for the same purposes but the product has evolved from their basic form to become a symbol of style and a valuable addition to a property. Roller shutters are still used today in both residential and commercial properties for a variety of purposes. Some provide security while some are used simply to dress up the home. 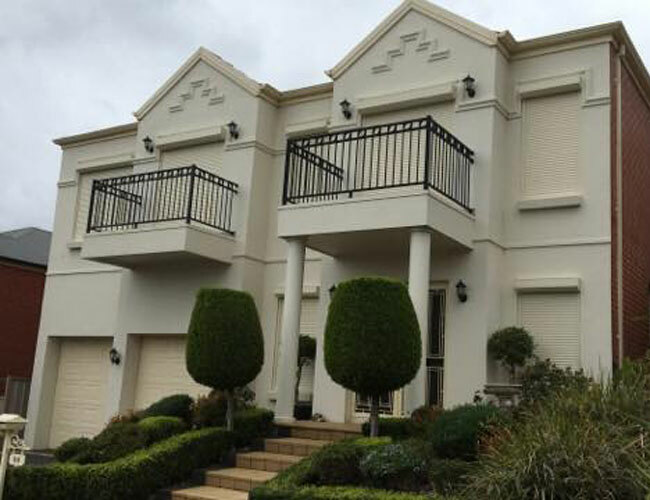 Open N Shut are the experts in roller shutters, security doors, outdoor blinds and window furnishings in Adelaide. 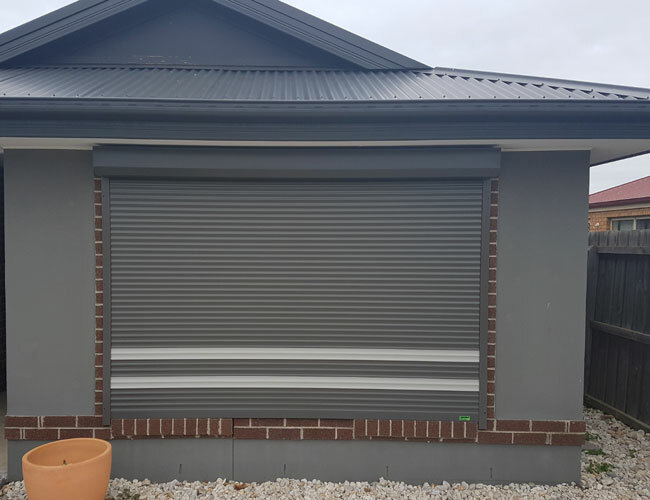 We provide Roller shutters, security doors, outdoor blinds and window furnishing solutions for your home or business in Adelaide. 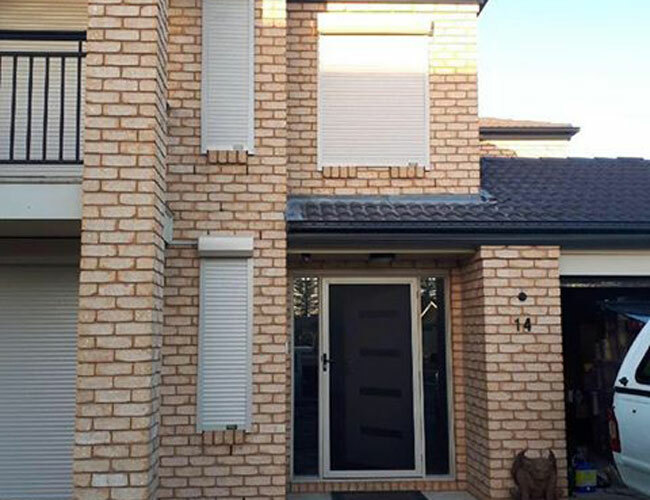 With 15 years of experience in production and 20 years of experience in installation, Open N Shut has been able to provide high-quality roller shutters Adelaide residents can trust. 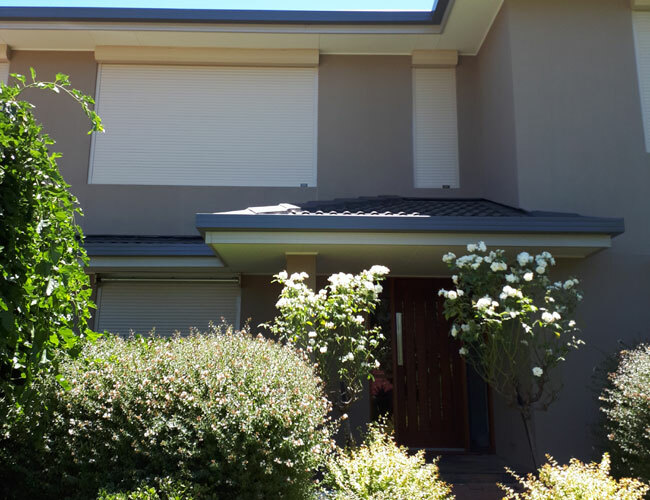 Our partnership with OZRoll & Total Window Concepts, which are among the two leading manufacturers in Australia, enable us to roll out some of the best roller shutters, security doors, outdoor blinds and window furnishing solutions in Adelaide. Open N Shut is a South Australia based privately owned company which was founded with the sole purpose to provide quality products and services at unbeatable lowest prices. We understand what our customers are looking for and continuously work towards achieving the goal of providing quality products and services to exceed each and every client’s expectations. Open N Shut offer a diverse range of home improvement products and services direct to the Adelaide market. 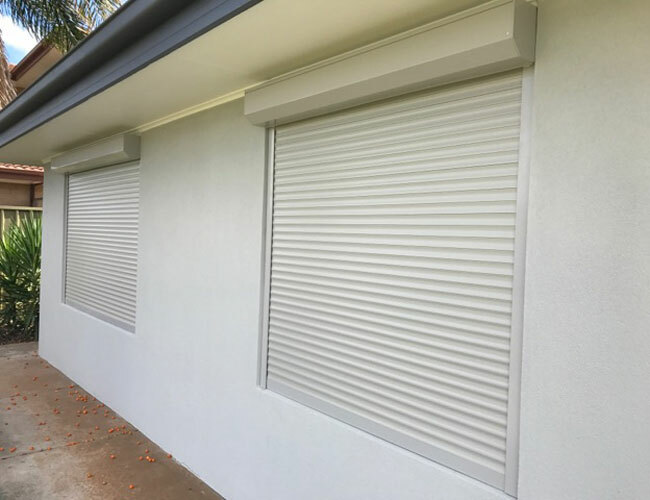 Storm and Cyclone shutters – Shutters with increased strength and security with minimum flexibility and a category 3 cyclone rating. These shutters have premium insulation properties yielding up to 90% reduction in thermal transfer and 50% reduction in sound transfer. These shutters have the ability to control light with up to 100 % light block out. 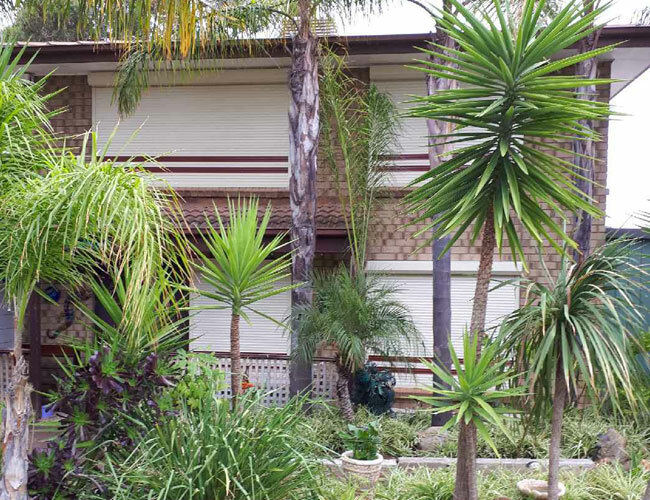 Bush Fire shutters – A product from Ozroll, this shutter has a Bush Fire Attack Level score of 40. They provide premium strength and security with minimal flexibility and can control light with up to 100% light block out. They come with the optional powder coating colours and are available with wide spans. Battery operated roller shutters – These are the latest addition in roller shutter technology. Battery operated roller shutters are not much different from manual and electric roller shutters but are technologically advanced shutter which can generate its own power in case of a power failure. This product comes with a intelligent controller to control the motion of the shutter. 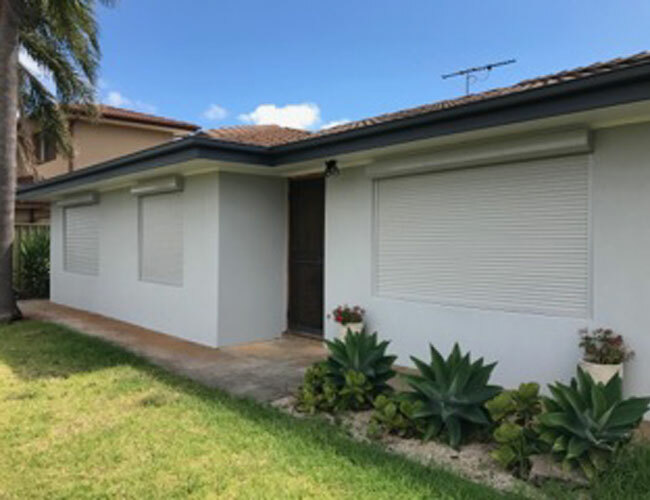 Manual roller shutters – The most cost-effective and environmentally friendly among all kinds of shutters due to its non-dependency on electricity and low maintenance costs. These shutters can be used for both domestic as well as commercial properties. Electric roller shutters – These shutters can be controlled on a wall switch at the push of a button or on a remote control system. We provide high quality electric motors for the shutters and guarantee quality installation by our experienced and licensed technicians. Plantation shutters – These shutters are beneficial as well as aesthetically pleasing. These crafty shutters are classy looking and add value to your interiors. Choose from open louvered view for free air flow to close louvered for total privacy. Zip screens – Zip screen alfresco blinds offer protection from the sun (including UV rays), rain and wind. These screens feature fully-enclosed, stylish square box cassettes that seamlessly integrate into existing outdoor decor. Cafe Blinds – We sell and install cafe blinds that have no cords, no zippers, no buckles and no fuss. They can be opened or closed in seconds. They will stay in any position and provide full control over the elements in your outdoor areas. Awnings – Our beautiful awnings are custom made and available in both Canvas and Screen fabrics. Select from our extensive range of traditional stripes or plain dyes and styles which include auto, fixed guide, and straight drop spring operated. Awnings are highly durable and strong with excellent finishing. Security doors – We also provide high quality stainless steel security doors for your homes and commercial properties. Security Screens – We also offer our customers the best quality window and door grille options including sliding doors, hinged doors, window screens and custom built screens for windows and doors. Being a South Australian family owned and operated company also means we understand our customer’s needs and can provide them with the best local services that are available. We have 15 years of experience production and 20 years of experience in installation which makes us able to provide the highest quality installation, repairs & prices directly to our customers for their home or business. All of our products are 100% Australian made. Some of our products are supplied by renowned Australian companies which make their products from native raw materials. So when you choose roller shutters or other products from Open N Shut, you can be confident you are provided the best quality products at the best possible price. So what are you waiting for? Just go through the products available in the inventory, pick the one that meets your needs and expectations and we’ll get it installed for you in no time. Not happy with the services? Your feedback will be appreciated in order to serve better the next time. Need a quote? Just write to us at hello@opennshut.com.au and our experts will get in touch with you shortly.